I'm back today with the fourth installment of the #FabFound series with Marshalls and Glam. I've covered sorbets, ladylike looks, accessories, and now we move on to dresses. You've probably figured out that I don't wear dresses often since I rarely post an outfit where I'm wearing one. However, when I find a dress I love, is versatile, and comfortable then I have to make the purchase. That's exactly what happened with this casual LBD. You can never have enough LBDs! The wedges are a bit higher than I'm used to so I had to be very careful navigating through the cobblestone streets in the West Village. Anywho - how perfect would this be for a weekend brunch with the gals? I picture myself sitting outside, basking in the sun, and sipping an iced coffee while having a very girly chat with my besties. I brought out the casual side of the dress by pairing it with simple jewelry, fun wedges, and my favorite oversized tote bag. And please excuse the hair - it was a windy day and the hair wasn't cooperating. It's your turn now! You get a chance to show off your own Fab Finds! Submit your own Marshalls Fab Finds using the #FabFound hashtag (submissions are done via instagram and twitter) for a chance to win a $50 gift card prize! Marshalls has the hottest brand name and designer items that turn every day into an occasion for fabulous. Disclosure: Compensation was provided by Marshalls via Glam Media. The opinions expressed herein are those of the author and are not indicative of the opinions or positions of Marshalls. So pretty! Love your dress and all your pretty accessories! Love this dress- feminine and classic! 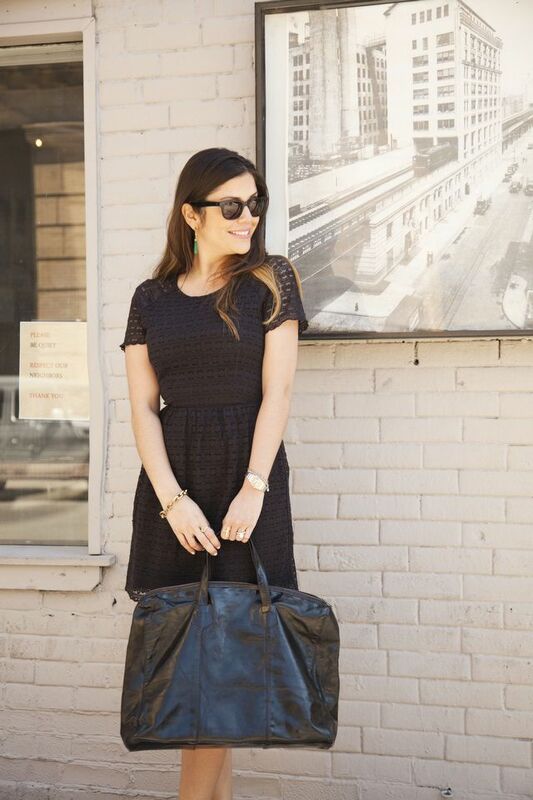 What a pretty and versatile LBD. Love your shoes! Is that dress from Marshalls? I've so, super jealous because mine definitely doesn't have that! You look absolutely stunning! That dress is seriously fabulous! I also love the shoes, gorgeous look! You look amazing. I love the dress and wedges. I love the eyelet fabric done in black, it's very fresh and perfect for running around in Hong Kong. I will definitely have to find something similar.